The Legend of Zelda: Breath of the Wild’s first DLC, The Master Trials, came out yesterday, and already players are trying to find conquer it in record time. Outside of new items and costumes (Tingle! 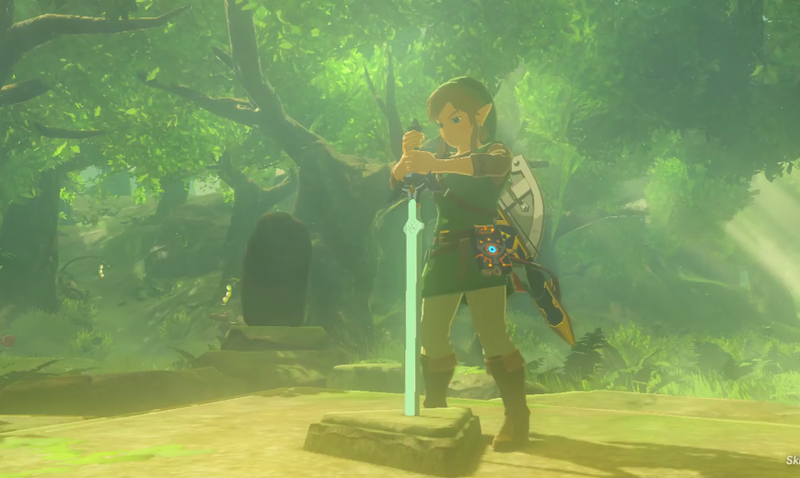 ), like a Korok mask that helps players locate the game’s 900 Korok seeds, the bulk of the DLC is based around the Trial of the Sword, a three part onslaught that pits Link against waves of different enemies. The trial consists of 60 floors, and once the player clears all of them, they’re granted upgrades for the Master Sword. For speedrunners, that’s hardly enough, however. Perhaps unsurprisingly, the the bigger reward is being able to defeat the challenge as quick as possible. Canadian speedrunner Loloup (thanks Dot Esports) managed to do it with a time of 1:19:07 yesterday, but it’s likely the time could drop to inside of an hour as players experiment with different strategies. Since weapons break in Breath of the Wild, one of the hardest parts of the challenge simply involves good inventory management skills so that the player always has the best tools for the job at hand depending on which enemies they’re facing. Currently, the best time for beating the entire game is 39:57, so the Trial of the Sword is still longer than that, something players who prefer their DLC to last as long as possible can take a bit of solace in. For now at least. With in the next couple of days we’ll no doubt be seeing top players pull off some expertly choreographed sword fights as they try to race through all 60 levels (and possibly even glitch through a few).